Toby knew that Dara was the perfect New York literary agent for him as soon as he heard her friendly, professional voice on the phone. Never mind that 17 other agents had already rejected his book proposal. Dara’s enthusiasm and recent sales convinced him to sign the three-year exclusive contract she mailed to him in Atlanta. True to her word, Dara pitched Toby’s idea to a number of New York editors, but no one made a bid. Though disappointed, Toby appreciated Dara’s effort so far. When he asked whether she planned to target smaller presses next, though, Dara encouraged him to do so himself. Toby forged ahead on his own. Somewhat to his surprise, he secured a decent offer from a midsize press in San Francisco; he even negotiated up his advance by presenting a marketing plan. Stunned, Toby dug out the contract and read the fine print for the first time. After consulting with a lawyer friend, he realized he had no choice but to comply with Dara’s instructions. Eventually Dara’s agency sent Toby a check for the book advance, minus the 15% agent commission stipulated in her contract. Hear enough stories like Toby’s and you’ll begin to understand why all types of agents have been called sharks, parasites, intermediaries, and worse. The laundry list of anti-agent complaints includes broken promises, poor agreements (or no deal at all), lack of communication, little value added, greed, and unauthorized commitments. Yet most of us can recall instances when agents worked with relentless efficiency and professionalism to get us great agreements. Lawyers, real-estate agents, money managers, doctors, and even our own employees can lend invaluable knowledge and skills to our trickiest negotiations. They provide entrée into closed networks and serve as buffers between rancorous disputants. The truth is, when an agent’s best-laid plans fall through, you may have only yourself to blame for failing to communicate expecatations. In Beyond Winning: Negotiating to Create Value in Deals and Disputes (Belknap, 2000), Robert Mnookin, Scott Peppet, and Andrew Tulumello describe the tension between agents and their “principals,” or clients. This tension is rooted in the fact that agents’ incentives are almost never perfectly aligned with the interests of their principals. Consider Toby and Dara’s misaligned incentives. They shared the goal of selling his manuscript, preferably to a major publisher for a high advance. Yet Toby would have been happy with just about any deal if it meant seeing his name on a book cover. Meanwhile Dara was aspiring to become a major player in Manhattan. She knew little about smaller presses, and that was fine with her. Dara’s status and connections blinded Toby to their misaligned incentives – and deterred him from negotiating with her for his interests. In domains such as insurance, law, and real estate, people generally understand the value of interviewing prospective agents and carefully identifying a top choice. In markets where parties are competing for scarce resources (such as entertainment deals) the competition for tops agents may be stiff as well, but that doesn’t mean you should automatically accept an agent’s terms and conditions. Compensation. Should your agent be paid by the hour, with a fixed fee, with bonuses, or with a percentage of any deal? To align your agent’s incentives with yours, choose an arrangement that links his compensation to your interests as closely as possible. (For more on this topic, see Beyond Winning). Contract duration. Also consider whether a long-term working relationship is an overall plus (motivating the agent’s commitment) or a minus (binding you to a dormant relationship). What will happen if your relationship runs its course – say, if your agent fails to procure a good deal after a certain period of time? A better sense of Dara’s negotiating plans might have inspired Toby to ask for a clause that would cancel their three-year contract if she were unable to sell his book within six months. Sometimes you may want to do your own bargaining and have your agent work behind the scenes as a consultant or contract drafter. At the other extreme, agents can negotiate with each other and keep their principals’ identities hidden. Industry conventions affect this decision, but you should factor in your and your agent’s differing skills and time constraints as well. Set a mandate. If you decide to let your agent negotiate on your behalf, don’t give him the authority to make binding decisions. Instead, give him a broad mandate to design an effective negotiation process based on identifying interests and creating value, Mnookin and his coauthors recommend. Ask your agent to update you often throughout the negotiating process and to give you opportunities to craft tradeoffs and proposals. Limit information sharing. How much information should you share with your agent about your finances? No more than what your would tell your negotiation counterpart – that is, very little. 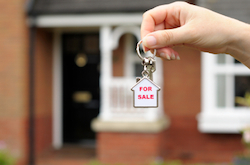 In one simulation, researcher Kathleen McGinn and her colleagues found that real-estate selling prices were highest, relative to other information disclosing conditions, when the buyer’s agent knew the buyer’s reservation price but not the seller’s. Telling your agent how much you are willing to pay or accept is likely to harm your outcomes. Insist on facts. Once talks begin, your agent should be prepared to back up her advice regarding particular offers and proposals with industry standards and objective data. In addition, she should make every effort to quantify the risks of various options, such as settling a dispute versus taking it to court, using systematic decision-analysis tools. Find a good listener. You may have observed that successful agents always seem to be on the phone or rushing to a meeting. Yet the best agents are those who will slow down long enough to collaborate with you on a creative plan for reaching your goals.